1895 was a good year for chocolate makers and consumers. Marking the beginning of the chocolate truffles history, it was the year they were invented and introduced into the world. With their thick chocolate coating and creamy centers, truffles have been a consumer favorite since their first taste over 100 years ago. 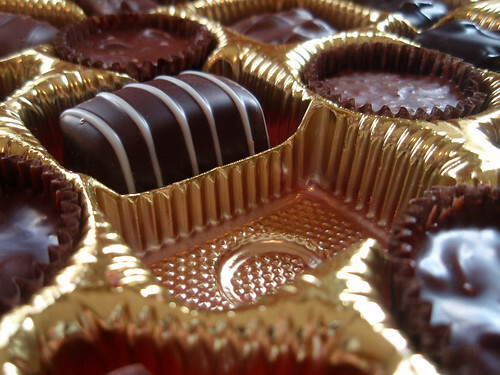 Chocolate truffles were invented in France by M. Dufour. Because of their similarities in shape and size, he named them after the popular French delicacy, the truffle fungus. The only problem with naming them after this plant though, is over the years many have posed the question – Are chocolate truffles mushrooms? The answer is no. Though there are many ingredients used in the making of chocolate truffles, mushrooms are not one of them. Here is a look at the three main types of truffles (American, European, and Swiss) and what their recipes call for. The original American truffle recipe was credited to Joseph Schmidt in the 1980’s. Schmidt was a chocolatier in San Francisco who studied baking techniques in Europe. His chocolate truffles recipe calls for dark and milk chocolates blended together to create a rich outer coating. This coating also uses butterfat, and sometimes hardened coconut oil. The American truffle is also recognizable for its shape, often described as a half-egg. In Canada, there is a modified version of this truffle type. It is called the Harvey truffle and uses the additional ingredients of graham cracker crumbs and peanut butter. The European truffle varies from the American truffle by using main ingredients of syrup, cocoa powder, milk, fats, and most importantly, butter to make the ganache. They are not coated with any hard, chocolate exterior, but normally a powder of some sort. These truffle types are known to melt-in-your-mouth. With ingredients completely different from the previous two, the Swiss truffle uses ingredients that make it the one with the shortest shelf life. This recipe instructs the baker to use a blend of dairy cream and butter, which has to be brought to a boil and then further combined with melted chocolate. This combination is molded and set, eventually being finished off with cocoa powder as confection. Swiss truffles hold the shape of the original truffle. Today, you can easily find a variety of chocolate truffles online and in stores. Although ganache is the main ingredient to use as a truffle center, chocolate truffle fillings now include, but are not limited to, cream, caramel, nougat, nuts, fruit, and liqueur. These fillings are usually found in the traditional dark chocolate truffles, though white chocolate truffles are also becoming a popular version to feast on as well.